French pro Rui "PepperoniF" Cao made the biggest single PLO score at PokerStars for some time yesterday when he posted a near $200k win after five and a half hours play at the $100/$200 tables last night. Nearly all of PepperoniF's profits came from playing heads-up against online legend Ben "Ben86" Tollerene. The pair played together at a total of six tables with PepperoniF winning five-figure sums at five of them, including an $85,736 profit from 116 hands played in 52 minutes at table Armenia, and a $55,095 score from just over an hour at table Amalthea II. 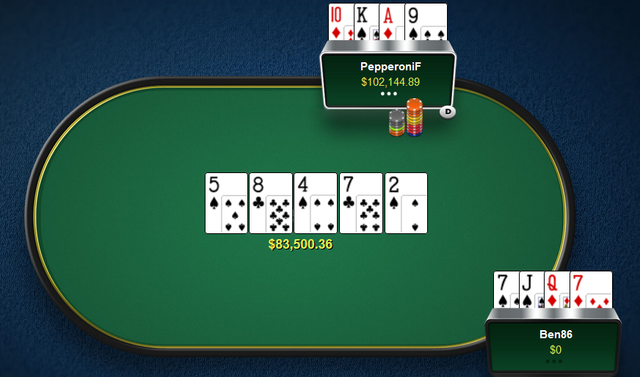 PepperoniF also took down the biggest pot of the day during these heads-up sessions. In fact, the match went on well past midnight and as two of the sessions began after midnight, the results from those tables will go on today's results. During the final late sessions Ben86 made a small comeback of just over $60k. 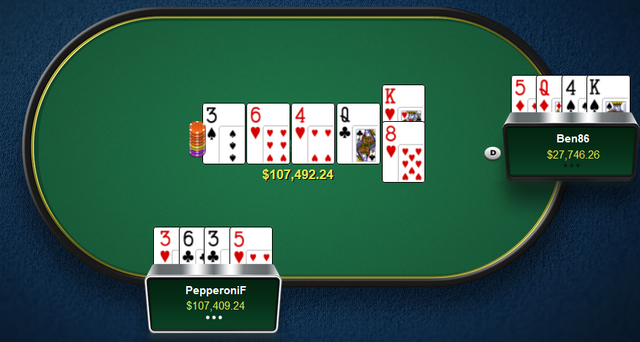 Despite winning back $60k Ben86 ended up losing an even bigger pot to PepperoniF during the ealry hours sessions. Although he lost $190k to PepperoniF yesterday Ben86 only posted a $108k loss as he had won $80k earlier in the day during some $200/$400 PLO sessions playing against the likes of ImagineKing, Jens "Jeans89" Kyllonen, ActionFreak, PINGUWARRIOR, and Gavin "gavz101" Cochrane. Jeans89 was actually the day's second biggest winner with a $60,743 profit from a busy day at the PLO tables. He won a little in the $200/$400 games but also turned a profit at the $50/$100 and $100/$200 tables. Yet another PLO player, Russia's St1ckman1 ended the day in third spot on the highstakes leaderboard, taking $42,582 from three hours play yesterday afternoon, again posting profits at the $50/$100, $100/$200, and $200/$400 tables. And it was a top four whitewash for the PLO pros yesterday with Andras "probirs" Nemeth posting a $41,784 win from 515 hands played yesterday morning and afternoon, with all of his winning coming from a couple of $100/$200 PLO 6 max tables yesterday morning. For all yesterday's winners go to our results page, or for current action check out the live results section.